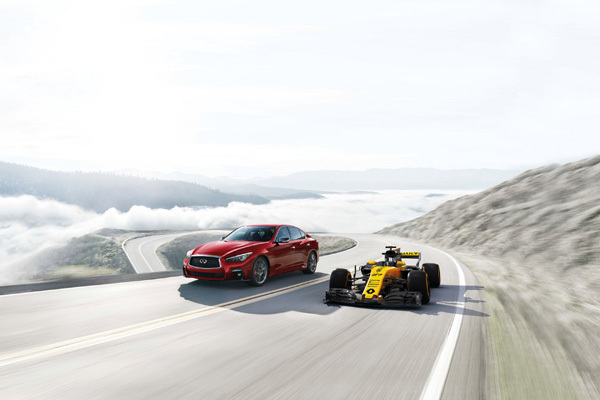 Infiniti, the official technical partner to the Renault Sport Formula One team, as part of its global Ultimate Test Drive campaign will put four lucky prize-winners from the UAE behind the wheel of a Formula One car. The winners will realise a lifelong dream of getting the chance to test drive a real Renault Sport Formula One team car at the Paul Ricard circuit, host to the 2018 Formula One French Grand Prix, in September, said a statement from the company. The campaign is open to all new UAE customers who confirm, with deposits, their order of the new Infiniti QX50 between July 19 and August 19, it said. The winners, two customers of Dubai dealerships and two of Abu Dhabi ones, will be selected on August 20, it added. During the unique experience, taking place from September 3 to 5, participants will receive one-on-one expert driving tuition from the Renault Sport Formula One Team. They will be prepared, both physically and mentally, in various race vehicles before they are cleared for the experience of driving an F1 car, said the statement. “The new Infiniti QX50 was unveiled in the region earlier this month, and it fully embodies our unique premium character,” he said. “With world-first technologies, stand-out design and the highly-innovative VC-Turbo engine, this car is one of the most exciting vehicles we’ve unveiled in the UAE in the past year. I encourage all Infiniti fans to make an early reservation for their QX50 and try their luck at winning the thrill of a lifetime,” he added. The campaign prize includes flights, local accommodation, exclusive F1 driving sessions, a passenger ride in an official Renault Sport Formula One Car, as well as a debrief and data analysis with the Renault Sport Formula One Team engineers, it said.